Using our SERC20 Security Token Standard, you can create your own equity-backed security tokens via a smart contract. Our platform also allows complete management of these tokens, including the issuance and distribution. SECURITonomy is designed to be the ultimate security token offering (STO) solution, fully compliant with regulations in Malta, giving you access to a comprehensive dashboard for managing all elements of your STO, from receiving investments to distributing tokens, bonuses, and integrating industry-leading marketing tools. Not only do we support the issuance and sale of your security tokens, but we also support token listings on our partner security exchanges for instant liquidity. 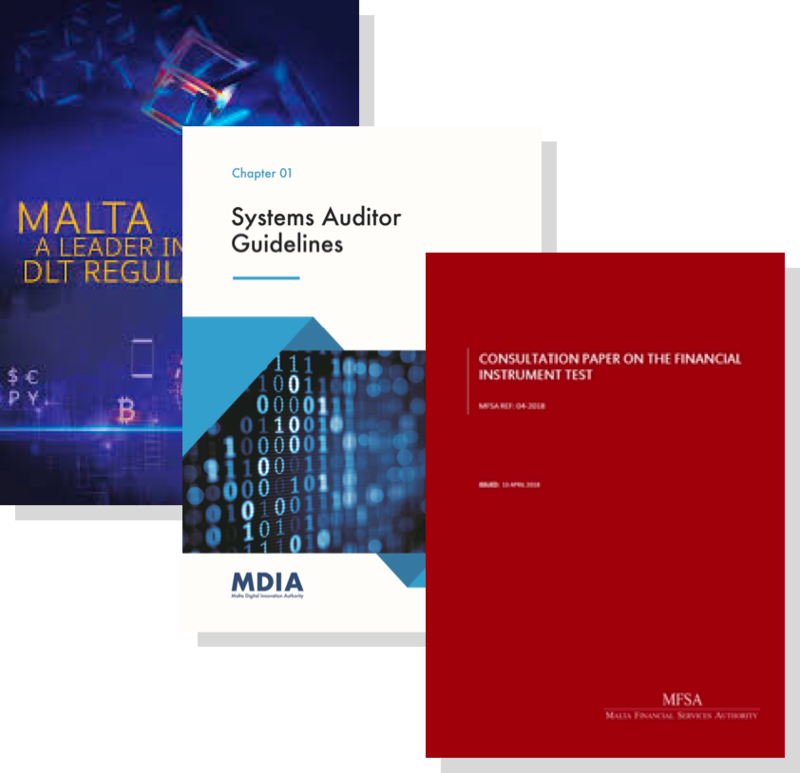 Having Securitonomy based in Malta we made strong partnerships with the most reputable law companies involved in building the Malta Digital Innovation framework, company formation and taxation. We work hand-in-hand with the hugest Crypto Exchanges who are currently applying for regulation under the MFSA and VFA regulation in order to be the first to present a full end-to-end B2B and B2C solution on the market. SECURITONOMY represents 6+ years of Blockchain development, including more than 35 successfully issued Tokens and custom developed Smart Contracts using the ERC‌-20 protocol. SECURITONOMY already has 2+ years of experience providing end-to-end technology solutions for utility token issuers. With numerous successfully launched projects for partners, our platform facilitated raising of hundreds of millions in investments from contributors all over the world. In Q1 of 2018 we started upgrading our Token Sale dashboard to support Equity Tokens, covering the Voting, Dividend and Ownership functionalities which allows issuers of Tokens to receive a complete end-to-end software solution for organising their Primary Sale of Security Tokens along with managing and monitoring the Security Token flow after the primary sale. SECURITONOMY Admin and Investor dashboards were designed to fully comply with MDIA requirements for Regulations, Certifications and Compliance for providing best user and issuer experience during the Token Sale. SECURITONOMY believes that rather than having regulation be some overhead imposition, it can instead be applied into smart contracts. This would in effect mean that compliance would be tokenized, represented on-chain, and integrated into the data stored on the blockchain. This is why we merged Regulation and Public Offering into our 3-step-success-model. Tokens issued using the SERC20 protocol are an extension of Ethereum ERC20 tokens in that they carry additional properties that describe real world assets, such as their location, purpose, legal rights and obligations, and transfer restrictions. SERC20 defines a common set of rules (fully compliant with regulations in Malta) that a security token must follow, and gives developers the ability to build applications which leverage the properties of tokenized assets. As part of the European Union, Malta is a door opener for Europe-based projects and not only. 1. What's the difference between security and utility tokens? There are two major types of tokens issued by companies to raise funds from investors and contributors: security tokens and utility tokens. Security tokens are very similar by nature to traditional securities: they are backed by real assets, the ownership rights of which are granted to token holders, who can then, in turn, receive dividends, shares in profit and so on. A utility token is not an investment instrument, and instead, serves a set of useful functions in a network. Utility token holders often get access to specific products and services developed by the company, discounts or other user-oriented privileges; however, they are not entitled to future profits of the company and grant no ownership rights or interests. 2. How to find out whether your token is security? Regulators in various jurisdictions apply different approaches to decide whether a token is a security. The SEC in the USA employs the Howey Test which defines a token as security if it is based on an investment contract which meets certain criteria. Briefly, if a token does not have a strong use-case within a company's ecosystem and is bought by contributors hoping to profit from the company's future operations in any form - then it is likely to be considered a security. 3. What are the benefits of security tokens? A security token is legally compliant, backed by real-world assets and equity, and gives holders certain benefits, including dividends, profit shares, and voting rights. Moreover, the rights of security token holders are protected by law, which makes them safer and more appealing instruments for potential investors. 4. How are security tokens regulated around the world? Regulators around the world are, as yet, undecided in their approach towards security tokens, which creates a lot of uncertainty and risks both for companies and investors. Some countries, including the USA, have made it clear that security tokens should fully comply with the existing rules and regulations applicable to traditional securities. However, the wild west days of the ICO market are coming to an end as authorities all over the world are moving towards creating regulatory frameworks for these new types of investment instruments. 5. Why is Malta the best choice for security token sales? Currently, Malta is among the leading jurisdictions in the world, with a comprehensive and friendly regulatory framework for tokens, cryptocurrency, and the blockchain industry. It gives companies clear game rules and helps establish their business in compliance with laws. As the country aims to become a global hub for blockchain and cryptocurrency industry, the Maltese jurisdiction offers various business incentives and favorable environment for both token sale startups and established companies. Tokenization of securities allows the best aspects of traditional securities such as equity ownership rights, clear structure, and investor protection, to be combined with the benefits that blockchain technology has to offer. Apart from high transaction speeds, transparency, and significant cost reduction, tokenized securities will significantly reduce inefficiencies and overheads, cut out most middlemen, provide investment opportunities to more segments and allow the automation of various corporate actions.